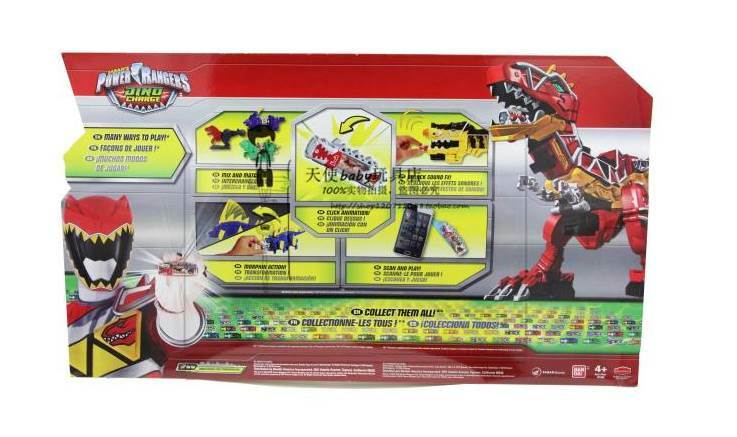 In what seems to be a continuing trend, an upcoming Power Rangers Dino Charge item unseen till now has been found! 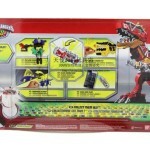 With special thanks to tavionjackson from our friends over at Rangerboard.com, this special pack looks to be exclusive to Toys’R’Us and will feature 27 of the current Dino Chargers but in their metallic foil inserts as opposed to the non-foil that have been out and circulating for nearly a year. Be sure to check out the original auction by clicking here! What do you think? Is this something you’ll buy? 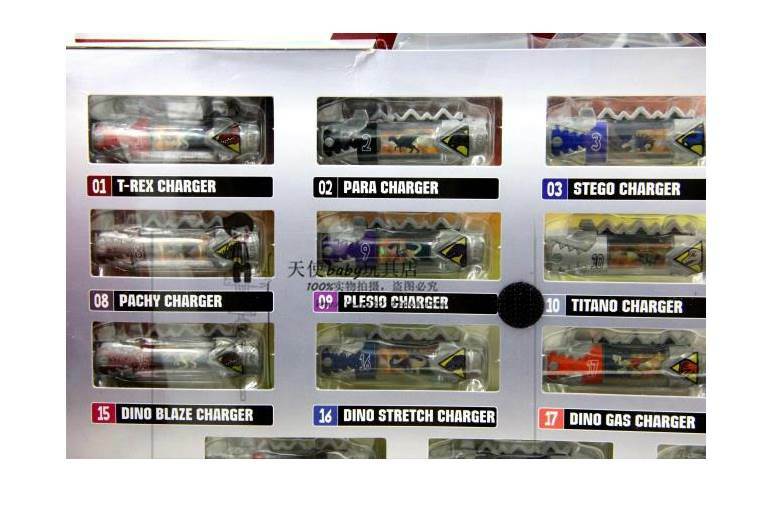 Or do you prefer two Chargers at a time with a dino buddy to display? Sound off in discussion! 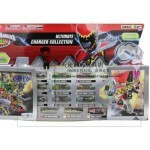 Found by tavionjackson on Rangerboard. 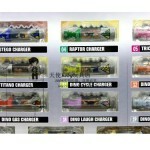 Is this ALL the Chargers? I'm all in because it doesn't have the Dino Buddies. That's really cool, actually. 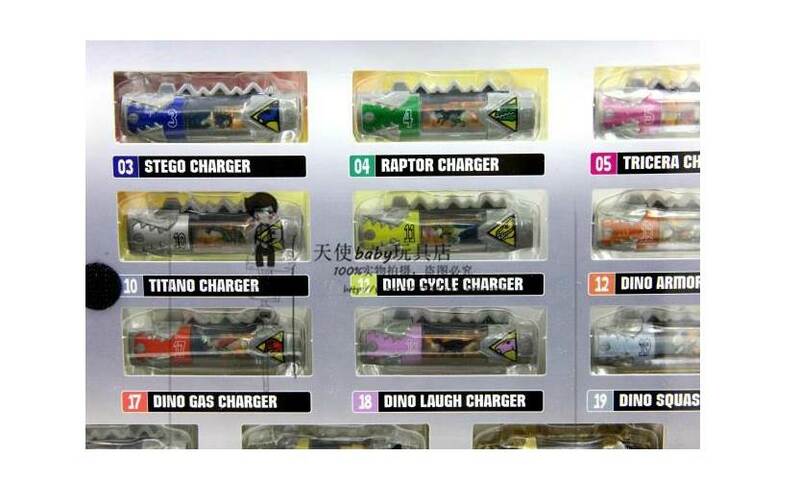 I'm not even into Dino Charge. I wonder how much it'll be. That set looks really cool. I wonder if the Spino Charger is in there. It's not in this. I don't think the normal Dino Drive one is either. 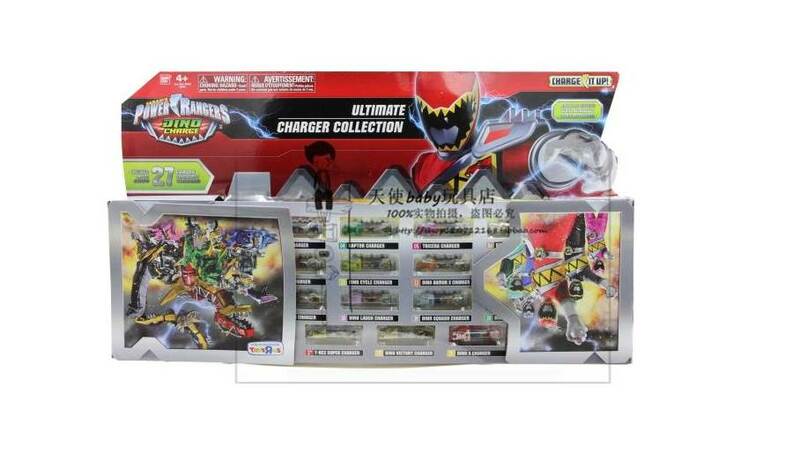 There are Dino Chargers 1-23 in there for sure. I saw the Carnival and Victory chargers, so then it's 25. It probably has Maximum, so 26. Then 27 is probably Spino. There's a Spino Zord so why not? Awh, why did they have to go and do something sensible like this? ...Says the person who has almost collected all the series 1 Charger releases. I still like the TRU 5 sets that are flat stickers but glow in the dark, but even those still come with the useless dino buddies. 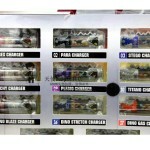 But 27 Chargers with no fluff? Yes, please. 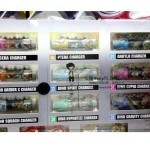 There are 27 Chargers in the set. 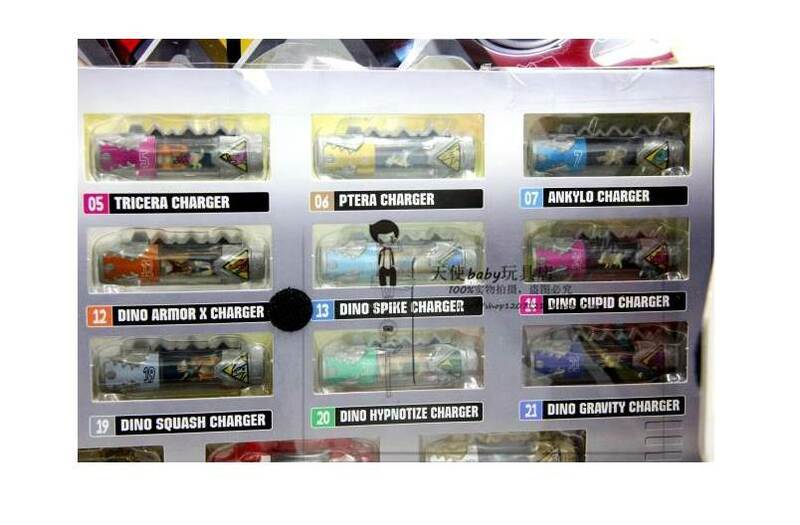 Spino and the Normal Dino Drive Chargers aren't included.